HAMILTON -- Loblaw Companies Ltd. is apologizing to a customer who says she found a mouse in a package of bread she was about to purchase from a Hamilton, Ont. grocery store earlier this week. "We are taking this matter very seriously and investigating all potential causes," Loblaw's spokeswoman, Karen Gumbs, wrote in an email. "We apologize to our customers for the concern and inconvenience this has caused." 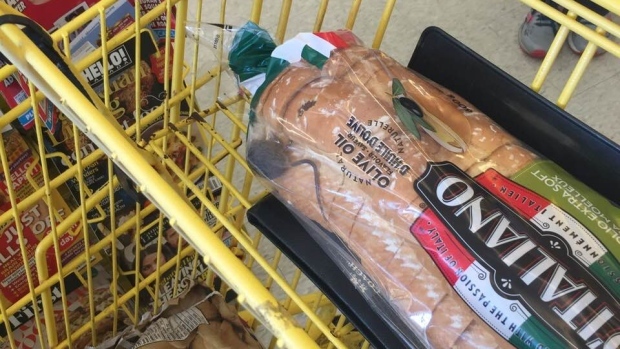 On Tuesday, a woman posted on Facebook that she was at a cash register at No Frills, a grocery chain owned by Loblaw, when she spotted a live mouse in the bag of bread. "I was shocked of course and disgusted," the woman wrote on Facebook, adding that she would now be checking her groceries more closely. Gumbs said the store will now be working with a third-party pest control team to inspect bakery items daily. "The store has taken a number of steps to ensure this doesn't happen again," said Gumbs. "We are also working closely with our supplier to determine the source and are committed to addressing any issues immediately." Gumbs also said Hamilton Public Health visited the No Frills location and determined there were no concerns with the store. Hamilton Public Health did not immediately respond to a request for comment.